The Greater Israel movement veteran to head committee charged with legalizing outposts and unrecognized towns in Judea and Samaria. 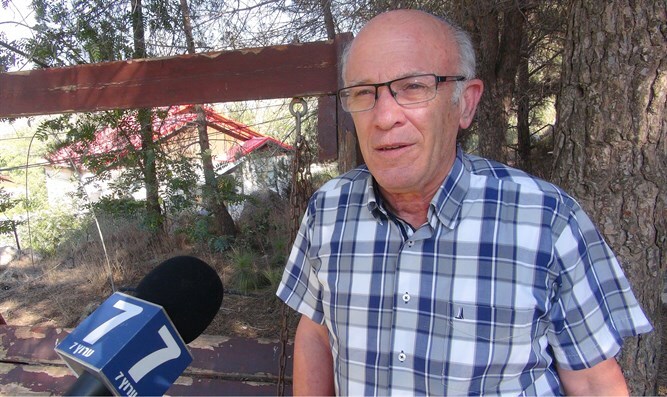 Former Yesha (Judea and Samaria) Council head Pinchas Wallerstein was unanimously elected Thursday to head a new committee aiming to legalize outposts and unrecognized communities in Judea and Samaria. Prime Minister Binyamin Netanyahu praised Wallerstein as "an experienced person who will contribute a great deal to Judea and Samaria". The Cabinet's had decided in May 2016 to establish the committee, who will promote the normalization of Israeli structures and outposts in Judea and Samaria. The team will include representatives from the Prime Minister's Office, the Ministry of Defense and the IDF's Civil Administration, and will give a tri-monthly report detailing its progress to the Prime Minister and the Minister of Defense. Efrat Council head Oded Ravivi welcomed Wallerstein's appointment. "The government did well by deciding to establish this committee, and no one is more fitting to lead it than Pinhas Wallerstein". "Wallerstein is a man of action and everyone knows that he is familiar with the field. I am certain that his efforts will help us settle Judea and Samaria." Wallerstein was one of early founders and leaders of Gush Emunim, a religious and political movement organized after the 1973 Yom Kippur War encouraging Jewish settlement in Judea and Samaria and Gaza. Wallerstein resigned as the director of the Judea and Samaria Council in 2008 over professional differences with then-Chairman Dani Dayan, ending 35 years of public activism on behalf of the Greater Israel movement.